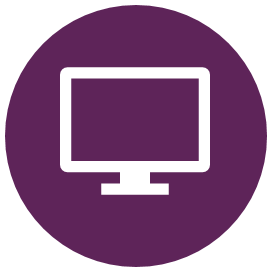 In addition to the overview below, this resource contains links to the CPA toolkit, a CPA overview webinar, more resources on CPAs, and support for pharmacists services. 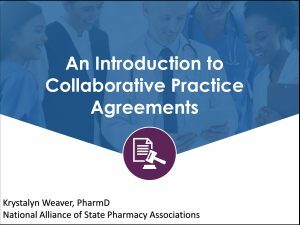 Collaborative Practice Agreements (CPAs) create formal practice relationships between pharmacists and prescribers. CPAs can benefit collaborative care delivery by identifying what functions – in addition to the pharmacist’s typical scope of practice – are delegated to the pharmacist by the collaborating prescriber, under negotiated conditions outlined in the agreement. While CPAs are not a prerequisite for collaborative care delivery, they can serve to improve the efficiency and effectiveness of collaborative care delivery. When used to their full potential, CPAs have the ability to increase access to care, expand available services to patients, increase the efficiency and coordination of care, and leverage pharmacists’ medication expertise to complement the skills and knowledge of the other health care team members. For example, CPAs can decrease the number of phone calls required to authorize refills or modify prescriptions, thus allowing each member of the health care team to complement the skills and knowledge of the other member(s), more effectively facilitate patient care, and improve patient outcomes. Pharmacists looking to develop a collaborative practice agreement may need assistance figuring out where to start. To help with that process, a toolkit entitled “Advancing Team-Based Care through Collaborative Practice Agreements” has been developed. The toolkit is a resource for pharmacists to use in developing and executing collaborative practice agreements in the spirit of advancing team-based care. It provides a customizable template that can be used as a starting point to developing a collaborative practice agreement. 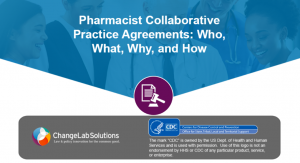 This toolkit was developed by ChangeLab Solutions, the Centers for Disease Control and Prevention (CDC), the National Alliance of State Pharmacy Associations (NASPA), and the American Pharmacists Association (APhA) through a cooperative agreement with ChangeLab Solutions. Click the image above to take the FREE CPA continuing education course from the CDC, ChangeLab Solutions, NASPA, and APhA. Click the image above to view a recording of the August 24, 2017 webinar. For more information on CPA’s and related pharmacist-provided services, check out the following resources. 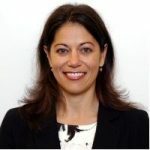 Embedding Pharmacists Into the Practice, Collaborate with pharmacists to improve patient outcomes – this site includes tools targeted for a physician audience but could also be helpful for pharmacists getting collaborative care delivery services started!